Dvd & recordings for sale. This easy flute album depicts the progress of Spring: ‘Echoes of Winter’, ‘March: In like a lion…’ and ‘May Bells’ are among the six pieces. Specially commissioned by the Contemporary Music Centre. 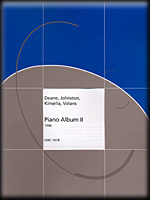 This is CMC’s second collection of test pieces specially commissioned by the 1997 Guardian Dublin International Piano Competition with funds provided by The Arts Council/An Chomhairle Ealaíon. 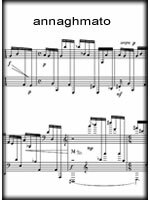 John Kinsella’s pianistic meditation, Reflection II, contrasts with Kevin Volans’ energetic March. Raymond Deane’s Chorale (After-pieces V) veers between austere minimalism and frenetic bravura, while Fergus Johnston’s The Oul’ Winda Rag was designed to give a ‘contemporary sparkle’, as the composer put it, to the predominantly nineteenth-century programmes to be expected from the competitors. 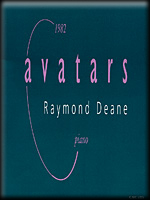 Avatar is a Sanskrit word meaning, variously, a 'passing down', 'an embodiment' and 'a visible manifestation of an abstract form'. In this powerful work, the abstract forms are three note-rows that are mined for their intervallic content. At the end, a quote from a Hugo Wolf song reminds us that 'all that comes to pass must end'. 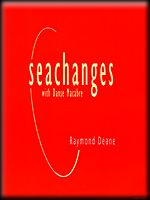 Raymond Deane’s Seachanges (with Danse Macabre) is the first work in his Macabre Trilogy. Together with Catacombs (1994) and Marche Oubliée (1996), the three pieces deal lightheartedly with the theme of death. Seachanges has been selected as a set work for the school Leaving Certificate music examination in Ireland. The composer writes: ‘This piece is based on a short melody that came while walking on the beach at Ardtrasna, County Sligo, and that returned to haunt me a year later on a very different beach at Huatulco, on the Pacific coast of Mexico. The piece is informed throughout by this extreme contrast, and by my reactions to the grotesque and gaudy morbidity characteristic of Mexican iconography. The word 'seachanges' was suggested both by the Atlantic/Pacific aspect, and by Shakespeare's Full fathom five my father lies…, thus linking up with the theme of death. The use of marimba and strummed stringed instruments evokes the Mexican 'mariachi' band.’ Commissioned by Concorde with funds provided by The School of Irish Studies and The Arts Council/An Chomhairle Ealaíon. 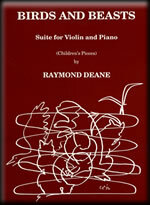 Suite for Violin and Piano. the Tyrone Guthrie Centre (August 2006).